Asus is a Taiwanese multinational computer hardware and electronics company. Few years back they entered the smartphone industry and in recent times, they have launched many devices with outstanding performance and battery life at a budget price. In India, Asus smartphone are having a good reach in recent times due its price and features for the price. In the series, ASUS India has launched Zenfone Max mobile during Jan 2016 which has 1.2 GHz quad-core processor, 5000 mAh battery, 13 MP rear camera, 5 MP front camera, 2 GB RAM, 16 GB internal storage. The phone launched for the price of Rs.9999 in India. Few days back I have posted the complete review about the phone. Check out the complete review, specifications, price details here. After 5 months from the launch, Asus team came up with the upgraded version of Zenfone Max smartphone with two variants. The launch of Zenfone Max device was live telecasted at 12:30 PM IST on 23-May-2016. To make the event more different, Asus team sent the demo units of the new Zenfone Max to the bloggers and journalists in a number locked box few days before the launch. It’s a like a mystery box and they have asked us to watch the live launch on 23rd May to unlock the box and discover the new device. It’s quite different for the phone launch and I liked the new strategy followed by the team. Before the launch itself, the phone got good reach. As all the bloggers and journalists had posted about the mystery box from ASUS in their social media. I also posted about the new box from ASUS. Finally during the live launch event, the secret box code has been revealed and we came to know about the device. #LiveUnplugged is the hashtag mentioned by ASUS team for this event. To prove the device battery power, ASUS has sent the device in ON condition. The device was powered ON when it is out from the India factory. To the surprise, the device was still ON when I opened the box after the launch. It’s nearly 15 to 20 days, the device is in stand-by mode, which early adds value to the phone. For the Indian market, this type of battery backup is needed and ASUS comes with the right choice. Asus has launched 2 variants of Zenfone Max today, one with 2GB RAM and the other with 3 GB RAM. It looks like the team concentrated more on the processor and storage parts. The new version comes with 1.5 GHz octa-core processor, 32 GB internal storage and expandable up to 64 GB, 13 MP rear camera, 5 MP front camera, 5000 mAh battery. The new version runs in Android MarshMallow. More performance optimization and bug fixes are done in the new version. Check out the comparison between old and new versions of Zenfone Max. The new version of Zenfone Max is priced at Rs.9999 for 2GB variant and Rs.12999 for 3GB variant. 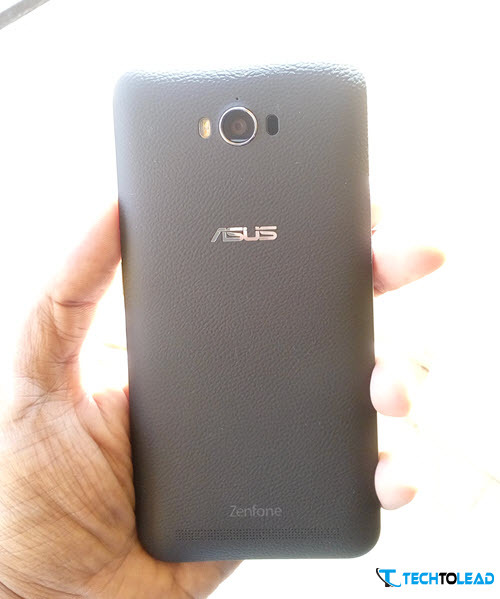 Will be posting the review of the new Zenfone Max shortly. Stay tuned.